It's very interesting how weeks tend to follow a theme. This week, it was Sega. Picked up the first bundle at an unadvertised sale. The young guy running the sale pulled them out of the garage and said it was $5 for everything. We offered $3 and he countered with $4, which we happily agreed on. 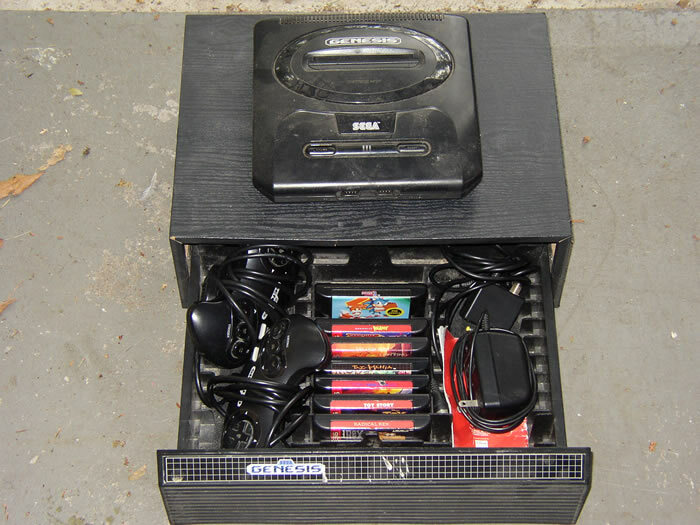 The Genesis and all the controllers and cables are filthy, and most of the games are rentals. 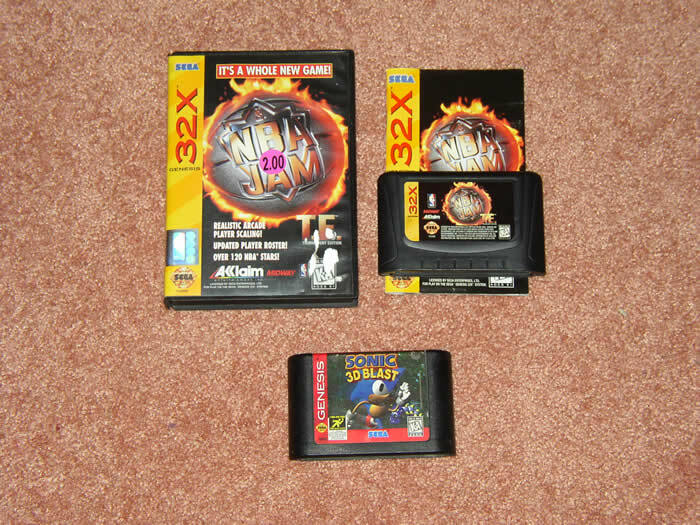 But the 32X is in good shape, as are the cardboard boxed games. 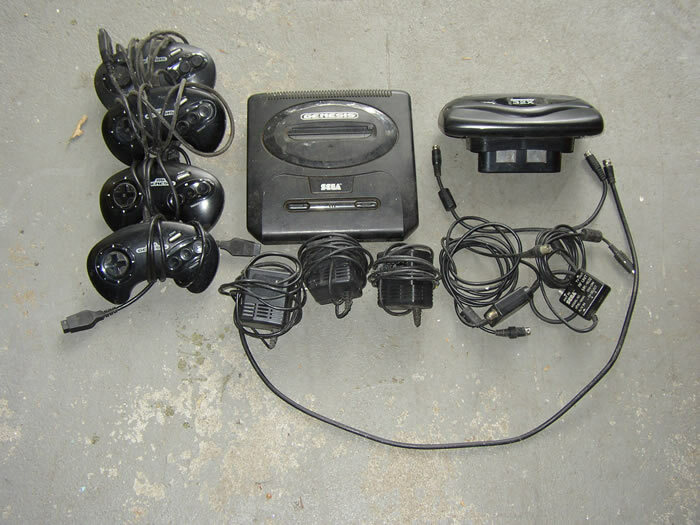 At the very next sale, we scored the second Sega bundle. We tried $3, they countered with $5, and we both settled on $4. 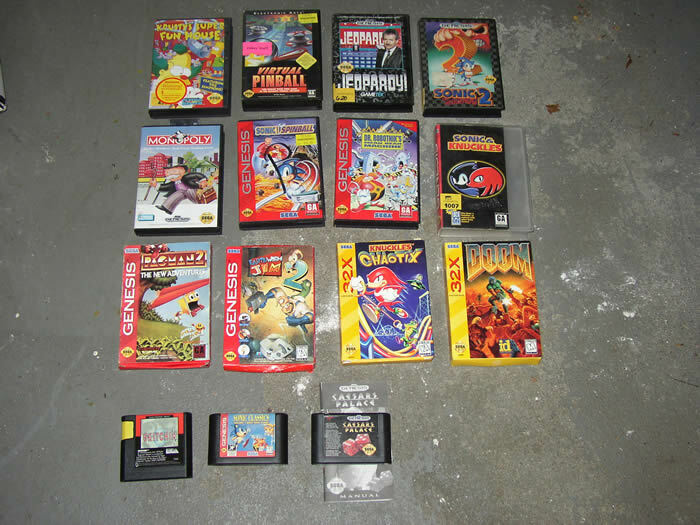 It was funny scoring another Sega bundle at the very next sale for the same price. We got the PS2 at a sale with tons of Legos and Kinex, which unfortunately were overpriced. 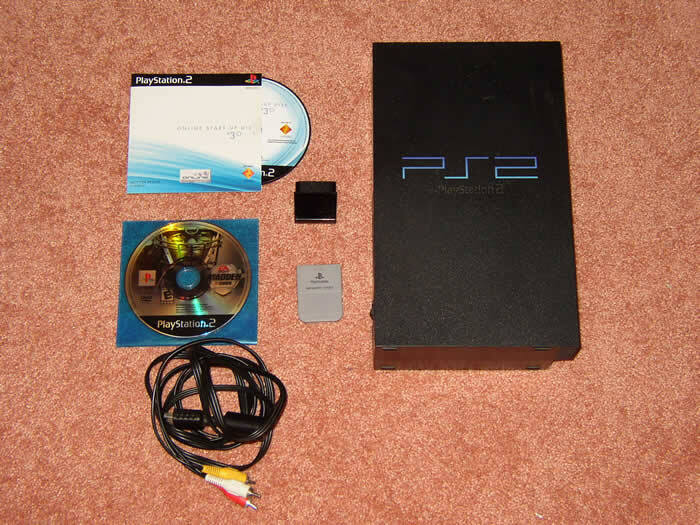 The PS2 was out on a table with the A/V cable. She didn't know where the power cable was, which we used to our bargaining advantage. We offered $5 and she gladly took it with no hesitation. We brought it home and hooked it up. The DVD drive opens and closes a tad slow, and games load slower than normal, but when loaded they work fine. Sadly, we got DRE's for DVDs. We're going to try to fix it and see if we can eliminate the DRE. For $5, it's worth a shot to tinker around with it. 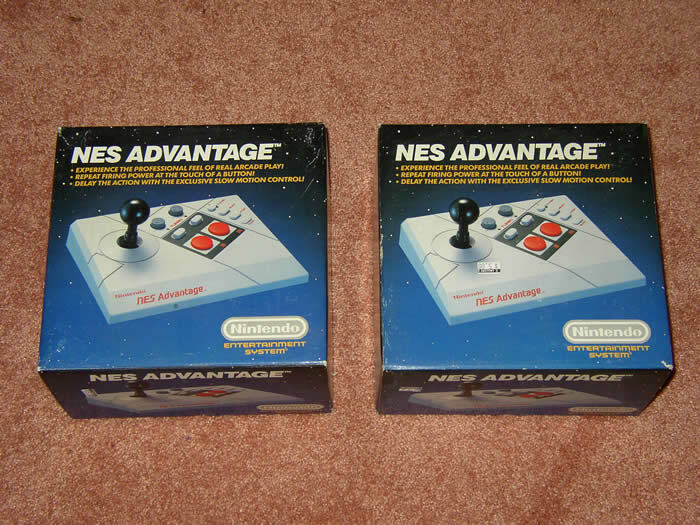 The NES Advantage's were a pleasant find near the end of the day. We offered $1 for both, and the guy pointed out that they were marked $5 each. We countered with $3, to which he replied $8 firm. We joked around with him, saying "You can't blame us for trying!" He was good-natured about it. We paid the $8. 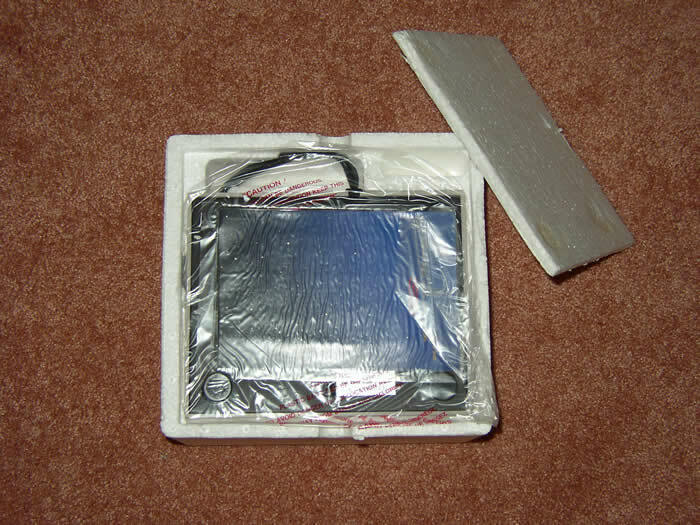 The boxes were in mint condition, and as the seller told us, they had never been used. The controllers have never been removed from the packaging. 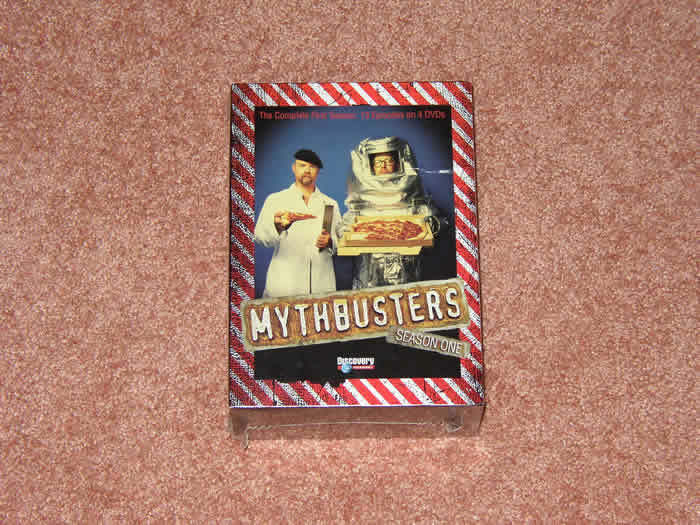 The styrofoam is pristine, and everything is wrapped in plastic. $8 is definitely more than we'd usually pay, but it was worth it! It was cold today, and also quite windy! It felt like a late September day. Everyone was out in sweatshirts and pants, and the wind was knocking over items left and right. It was kind of sad: a reminder that the summer will be over soon.